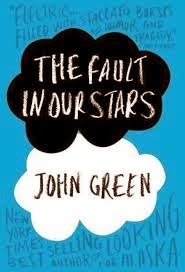 a book chick: "The Fault in Our Stars"
my take: This was almost as wonderful and necessary as Wonder … but for a slightly older age group. (And oddly enough, both books have an August/Augustus character.) It's kind of a feel good-y but in a cancer sort of way. A love story. I fell in love with Hazel, Isaac, and Gus who meet in a cancer support group that's located in the Literal Heart of Jesus. And I liked their parents, portrayed as real people might when they have a child with cancer. I laughed, I cried, and I came away a better person. I think you will, too.